Born and raised in Weston-Super-Mare, Steve was classically trained from an early age, playing clarinet in an orchestra and other ensembles for six years. He moved on to saxophone and studied jazz at Bristol, playing in many 15 piece big bands and touring the country. 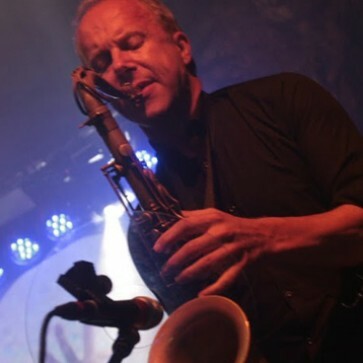 Having recently added flute and other wind instruments, Steve has spent many hours in recording studios as a session musician, and since ’94 has played with a number of worship bands at various conferences. He currently teaches woodwind in schools and enjoys music in all its forms. He is also a member of a Dire Straits tribute band.